Yacht ownership is a great pleasure, but these magnificent vessels also require a great deal of upkeep, with regular periods in the yard required for yacht refit or maintenance. 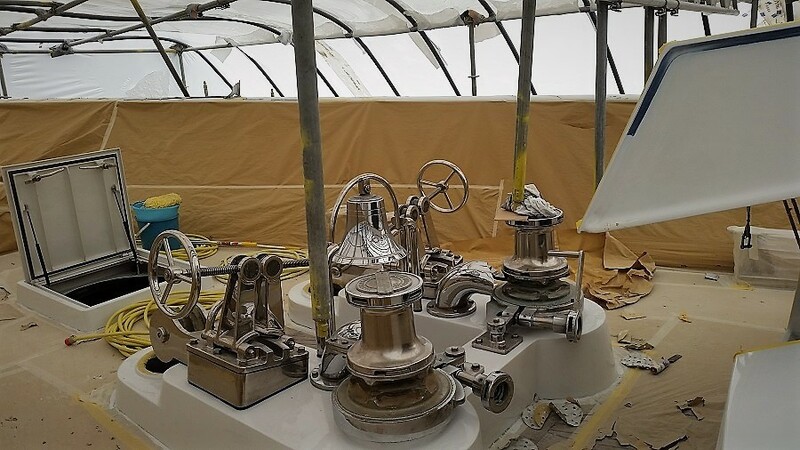 Whether conducting a major overhaul or just making a few cosmetic and systems updates, a yacht refit is a large undertaking, requiring excellent scheduling and budgeting, as well as excellent management of participating crew and contractors. 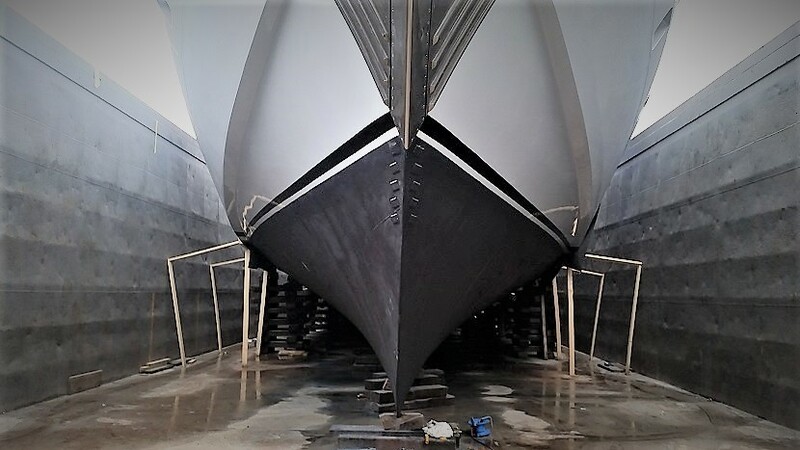 Finding a highly experienced, professionally run shipyard will go a long way towards heading off costly delays or possible conflict between the yacht and the shipyard, but there’s a great deal the captain and crew can do to ensure a successful, speedy yacht refit yard period. 1. Once the captain and crew have drawn up an extremely thorough yacht refit yard work list, submit the work list to numerous shipyards for quotes. Be wary of jumping on the cheapest quote, drill down into why the quote is lower. Ask around for shipyard recommendations, and be quick to note if the shipyard quote process has any errors, is revised numerous times, or simply doesn’t reflect good customer service. 2. The process must be organized by a strong project manager who is there from the start to the finish of the yard period. This is most often the captain, but can also be a trusted external project manager, and the yacht management company may also be involved. The yacht’s engineer is also heavily involved in the shipyard project management, normally holding the 2IC role onboard. The shipyard will also assign their own project manager to collaborate with the yacht’s designated person throughout the yacht’s refit. 4. Shipyard insurance is imperative. The contract details must be rock-solid to apportion where liability falls for lateness, budget overruns, or any damage caused in the shipyard. Be sure to check for conditions involving ‘hot work’ such as welding, as some policies do not cover this. 5. Fires have occasionally been known to happen in shipyards due to the nature of the work, so ensure that the shipyard’s firefighting capabilities are top-notch, carry out crew fire drills extremely regularly, and insist on crew vigilance and a 24/7 watch schedule throughout the yacht refit. 6. 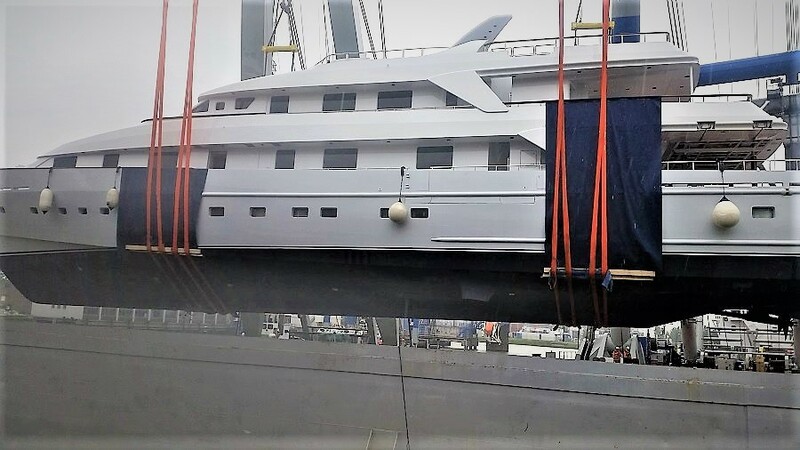 Yacht refits can run over-time due to unexpected complications, so be aware of this when planning any charter bookings, yacht transport, or boss trips around this time. 7. Organize your crew wisely during the shipyard time. Shipyard periods exert different demands on different crew departments. For the engineers, it’s generally their busiest time of the year, while the interior team is largely responsible for protecting the yacht from damage during the refit and doing stock takes etc, and therefore has more downtime. There is often time for chefs, deckhands, and stewardesses to take vacation during a shipyard period, or enroll in professional courses. Your shipyard project manager will generally be able to tell you how many crew will be required to assist with the work being carried out by their team onboard. However, bear in mind that shipyard staff will not be willing to oversee the work of private contractors who don’t work for them— that must be done by your crew. 8. Have the contractor and dayworker admission process streamlined for your yacht refit. A common delay in shipyards is in the mornings, when dayworkers and external contractors can get held up at the gate because they aren’t listed on the day’s admissions. Have all of this organized before time, as well as contracts ready for the dayworkers to sign. 9. Get to know the shipyard where your yacht is being refit. From building good relationships with the shipyard staff to knowing the facilities, emergency services and security provisions of the yard, the better informed you are, the better your yard period will be. By choosing the right shipyard and managing the yard period well, your yacht will be back on the water on time, on budget, and even more beautiful than ever. By choosing the right shipyard and yacht brokerage to manage the yard period well; your yacht will be back on the water on time, on budget, and even more beautiful than ever. 2016 is Leonce’s 33rd year of working in the marine industry on all types of recreational vessels, both sail and power. Boating is still his favorite pastime when not working.